Tired of thermostats that are hard to read? The FocusPRO 6000 has the largest backlit screen of its kind. This makes it easy to program and check status. 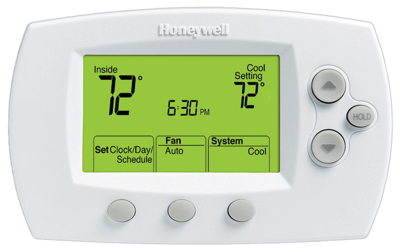 The thermostat's weekday/weekend programming can help save you heating/cooling costs.